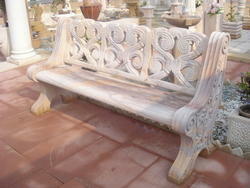 Prominent & Leading Exporter from Jaipur, we offer marble sofa set and stone bench. In the field of manufacturing, wholesaling and supplying, our company offers supreme quality Sofa set. 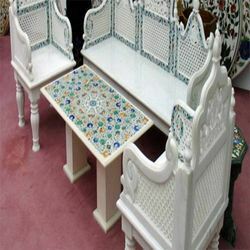 Designed by our experts using the excellent quality material and latest furnishing technology as per the latest trends, the offered set is available in various styles, designs, colors and sizes to meet the requirements of our renowned clients. This one is extensively used in households to enhance the look and beauty of the living space.